This blogs mission is to educate potential consumers to promote the AR15 and marksmanship. I hope this guide will educate many Google searchers… for the good of the land! I could not disagree more with one particular portion of your article. The lions share of all ammunition fired through these rifles is 55gr and 62gr. Suggesting that people disregard the 1-9 twist is foolish. That bullet weight especially the 55gr is PERFECT for the 1-9 twist. 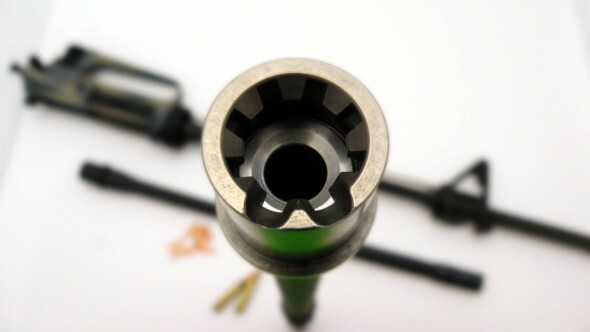 The suggestion that buyers should look past it in favor of a faster twist used for ammo they will never buy is silly. Where as if they buy a 1/9 and decide one day they want to work up a loading in 69, 75, or 77 grains and try for longer range accuracy they may not be able to stabilize the heavier projectiles. Where as if they buy a 1/7 twist, they can easily shoot the common as dirt 55 grain ammo, yet still keep the capability of shooting 77 grain ammo. Why sacrifice capability for the same cost? Heaven forbid someone gets into reloading and then decides they want to try heavier loadings. If you want to shoot dirt clods in the backyard, sure knock yourself out, 1/9 will be fine. If you only want to stock one bullet type, maxing out at 62 grains then sure 1/9 will be fine. If you want all thr capability above, plus the capability of a highly accurate better ballistic coefficient projectiles in the 70+ grain range, your going to want a 1/7. It’s a smarter purchase for a do all rifle.